This is an awesome quick and easy dinner or the perfect Game Day appetizer. A recipe that works just as well with fresh meat like I use here as it does with leftover steak, which is always a challenge to reheat. 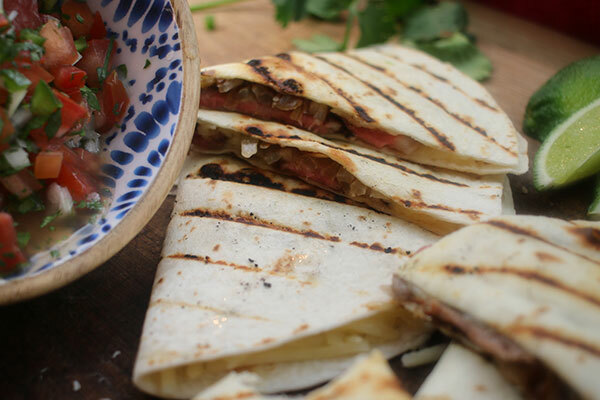 If you use leftover steak, just slice it on throw it on the quesadilla cold, it will heat up as you grill the tortillas. I’m not one to let anything go to waste so this is a terrific use of just about any left over cut of beef. If you’ve read my book, Basic Training for Everyday Grilling, you’ll know that I like cheese, so feel free to add extra here if you like. Serves: 10 | Prep time: 15 mins. | Cook time: 30 mins. Step 1: Light grill and set up for medium-high direct heat. Step 2: Mix seasoning ingredients in bowl, set aside. This is a great basic steak seasoning and I use it often, feel free to make more of this and save it for future use. Step 3: Season steaks lightly on both sides with seasoning mix. Step 4: Place steaks directly over medium heat on the grill and cook for 2 minutes per side. Remove from grill and let rest. 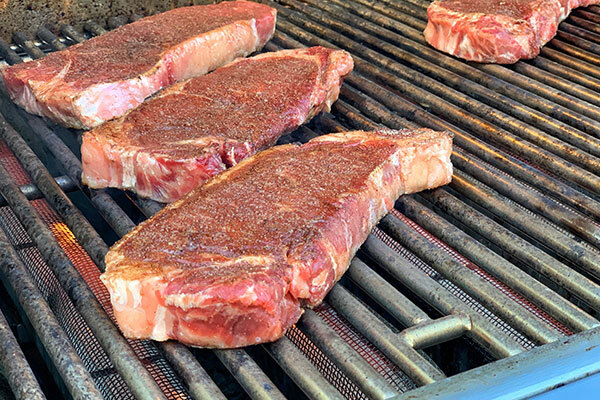 Because these are thinner steaks they will cook quickly over direct heat, so keep a close eye on them. Step 5: Slice onion into 2 inch strips, about 1/4 inch wide. 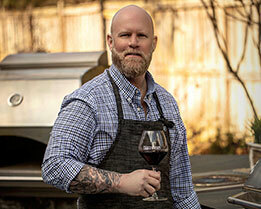 Step 6: Place cast iron griddle on the grill directly over medium heat. 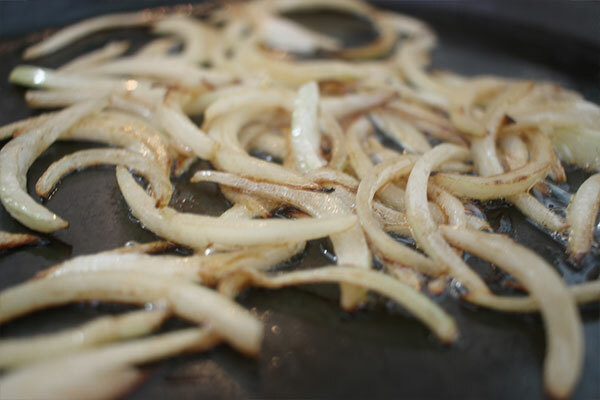 Step 7: Place 2 tablespoons of butter on griddle and lightly sauté onions. Step 8: Shred Monterey Jack cheese. 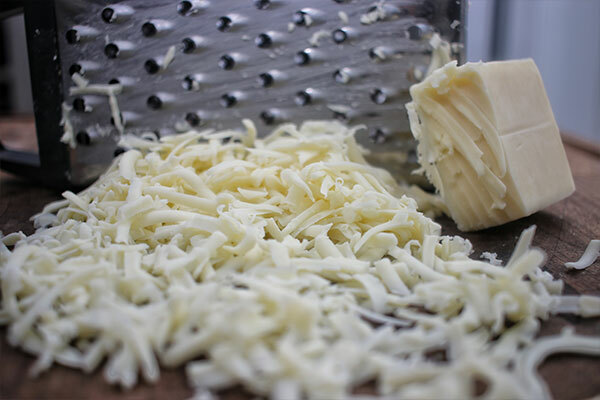 Don’t use the packaged shredded cheese, that stuff is coated with a wax which keeps it from sticking together in the package, but also prevents it from melting very well. The best solution is to grab a grater and get to work, it’s a good workout! Step 9: Divide shredded cheese in half, and evenly spread half of the cheese onto one half of each tortilla. Step 10: Slice steaks thinly and set aside. 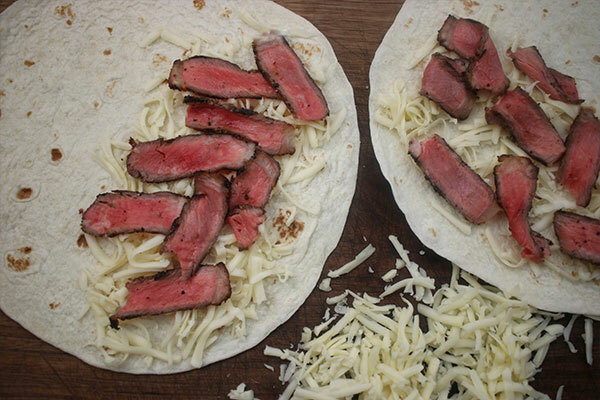 Step 11: Spread steak evenly on tortillas over top of cheese. Step 12: Add sautéed onion and top with remaining cheese. Step 13: Fold tortillas in half, and grill quesadillas over medium heat for 2 minutes per side, until lightly crispy. Step 14: Cut into triangles, serve with pico de gallo and a dollop of sour cream. Light grill and set up for medium-high direct heat. Mix seasoning ingredients in bowl, set aside. 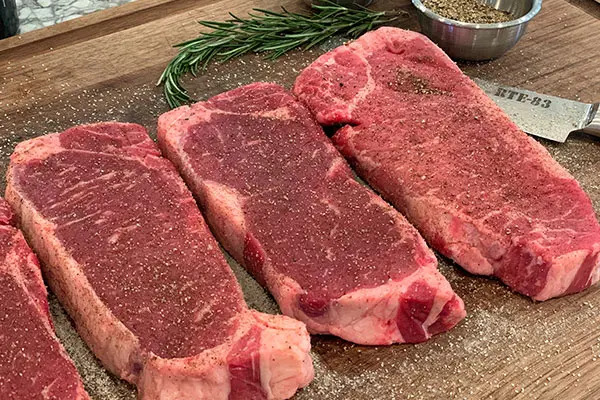 Season steaks lightly on both sides with seasoning mix. Place steaks directly over medium heat on grill and cook for 3 minutes per side. Remove from grill and let rest. 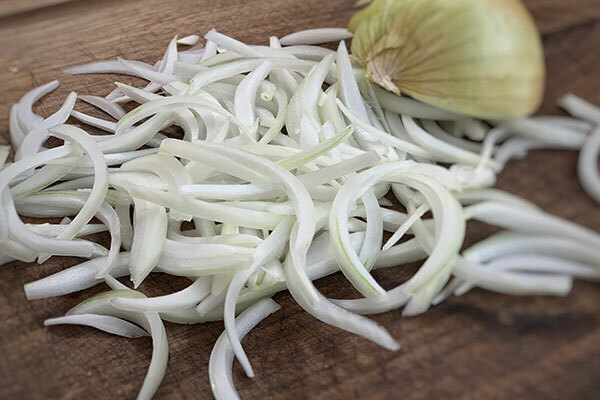 Slice onion into 2 inch strips (1/2 inch wide). Place cast iron griddle on grill over medium heat. Place 2 tbsp butter on griddle and lightly sauté onions. Shred Monterey Jack cheese and divide in half. Evenly spread half the shredded cheese one half of each tortilla. 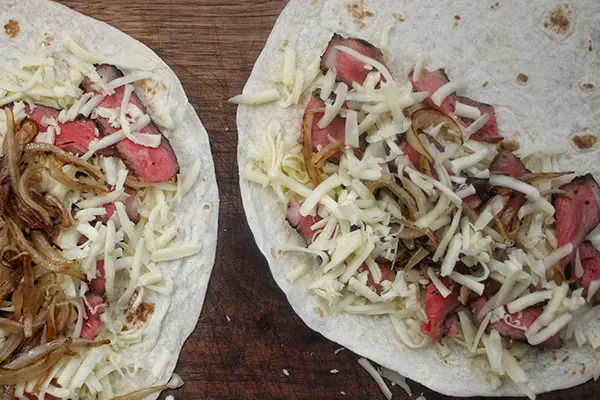 Thinly slice steak and spread evenly on tortillas over the cheese. Add sautéed onions on top of the steak and top with remaining cheese. Fold tortillas in half. Grill over medium heat for 2 minutes per side or until lightly crispy. 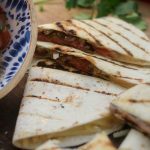 Cut into triangles, serve with pico de gallo and a dollop of sour cream.